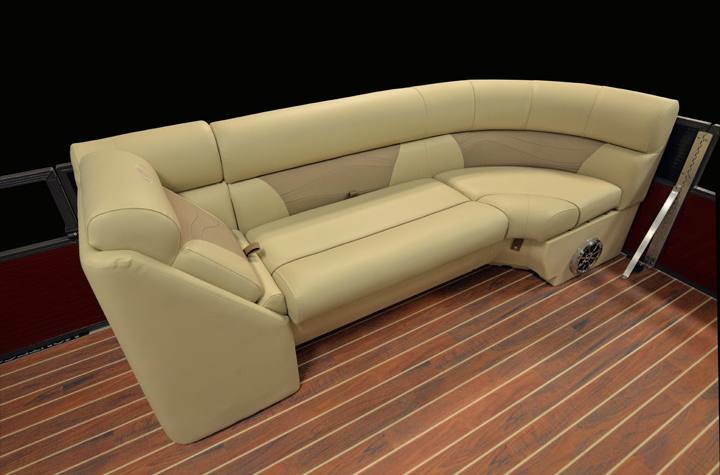 For the family that love to comfortably cruise with friends and family but also wants the versatility to spend a day on the water fishing. 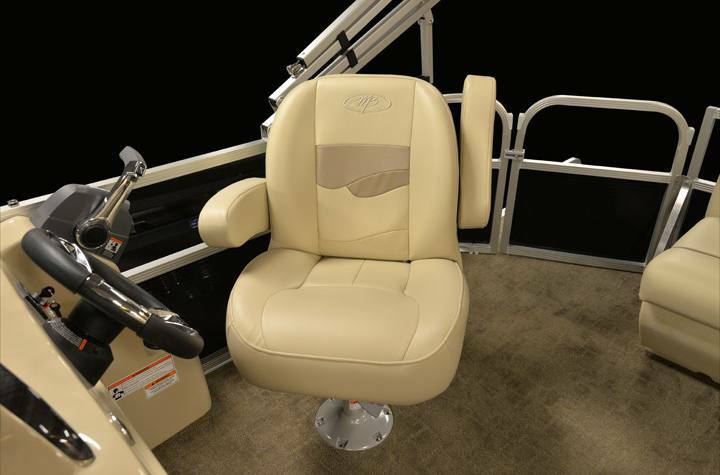 This crossover comes standard with two rear fishing seats, a fish table with an embossed ruler and livewell. 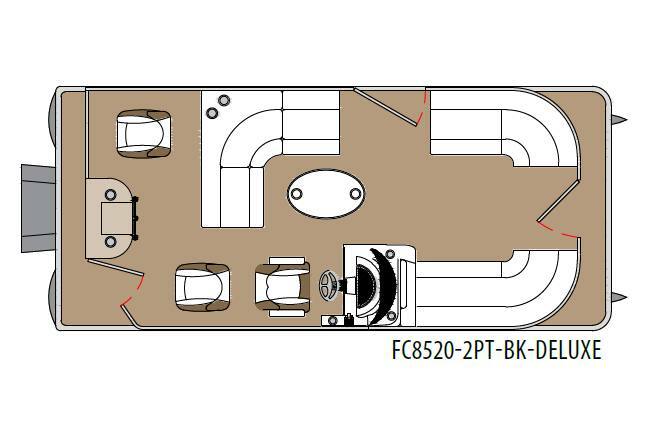 This NEW 2019 Montego Bay FC8520 is blue in color, has a charcoal metallic top rail skirt, upgraded powder coated rails and an upgraded woven solar tan vinyl floor. 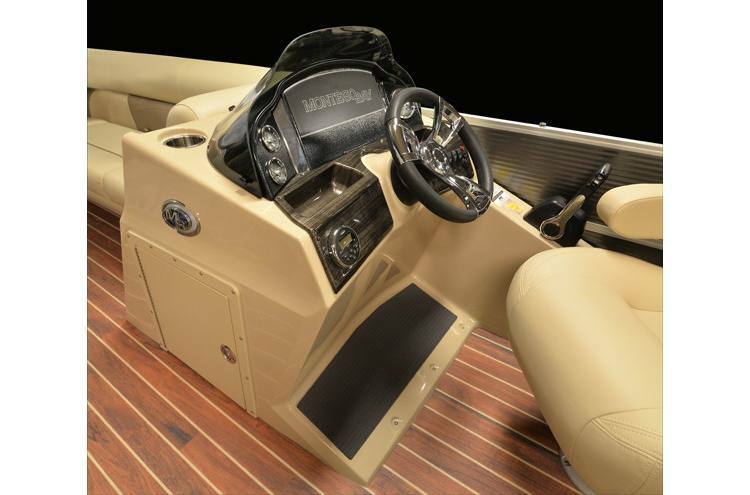 Options added to this pontoon are docking lights, four blue toe kick interior lights, a Hummingbird Piranah Max 4 depthfinder and a playpen cover. 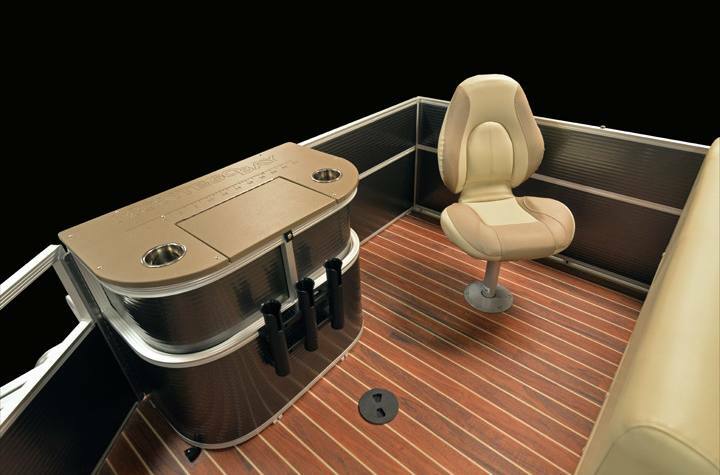 This pontoon is rigged with a 60HP Mercury outboard and has a Mercury trim gauge. 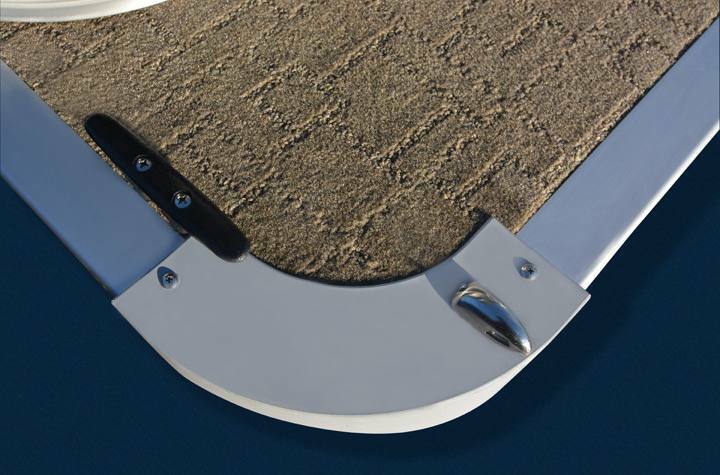 BIA Capacity/ : 2000 lb.